In 1728, Sawai Jai Singh II, rajah of Jaipur, dispatched his emissaries across the globe to gather the most accurate astronomical data possible. 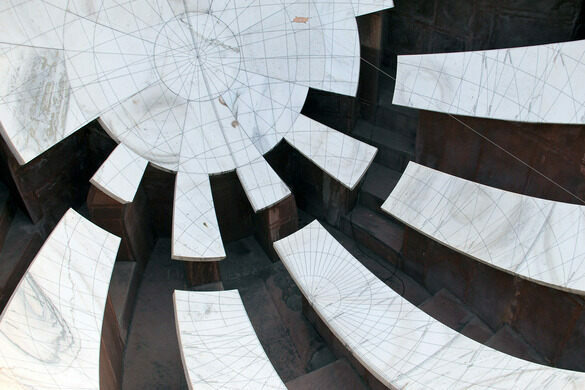 When they returned, Jai Singh ordered the construction of the Jantar Mantar complex in New Delhi, a monumental astronomical observatory constructed entirely out of stone and based on the astronomical tables of the French mathematician Phillipe de la Hire. 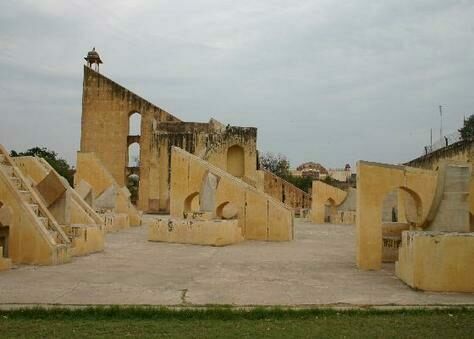 In all Sawai Jai Singh built a total of five observatories, with the largest in his hometown of Jaipur. Among the stone instruments Jai Singh constructed was the Samrat Yantra, a 73-foot-tall sundial which remains the largest ever built. Though indistinguishable in design from other sundials of the day, it was far and away the most accurate. Its two-second interval markings are more precise than even de la Hire’s table. 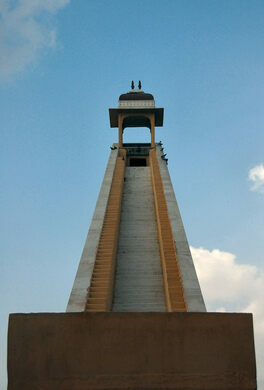 The smaller but older (and pink) version of the Jantar Mantar can be seen in New Delhi.